There are many iOS device users who are switching to Android devices and each of them has their personal reasons. There are some who believe that Android devices are less restricted than iOS devices, especially when it comes to availing applications. There are also the ones who think that their iOS devices are starting to be inconvenient to use, especially with the update bugs that they are getting. But whatever your reasons may be for moving from iOS to Android, here are the things that you have to know when trying to transfer your data. You can’t do everything all at once. First, keep in mind that you cannot do everything at once. What you need to do is to transfer your entire files one at a time. From the files on your calendar, your contacts, your music and of course, your photos and videos – all of these should be done one at a time. Also, there are different instructions needed for each of these file types to be transferred from your iOS device to your Android device. It’s important to have data backup. Another reminder for your when transferring data from your iOS device to your Android device is that you must have a data backup for you to prevent yourself from losing your most important files during the transfer process. Store backup files into your laptop, PC or external hard drive. That is the last thing that you would want to happen, especially if you have been using your iOS device for a long time and you have too many files stored in it. Get used to your new device. Finally, once you have already successfully transferred all of your data from your iOS to your new Android device, the last thing for you to do is to get used to your new phone or tablet. The features of iOS devices are different from what Android devices can do. So, if you do not want to damage your new device, be it internally or externally, take some time to learn about every feature of your Android phone or tablet and get used to the changes. 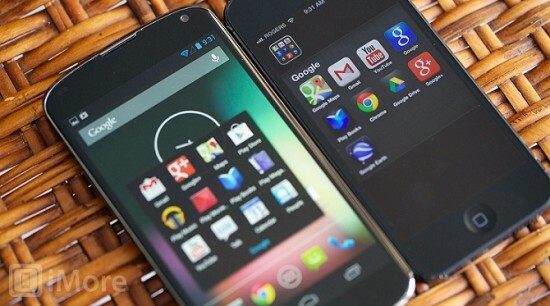 So, are you ready to begin the switch from your iOS device to your new Android device? With the tips and simple instructions mentioned above, you would no longer have to worry about having to safely transfer your data from one device to another.